Can A Parent Move With A Geographic Restriction? If you are the parent with “custody” of your children, then it is likely you have geographic restriction on where you can live. Most parents can move within their county, as well as counties touching that county. 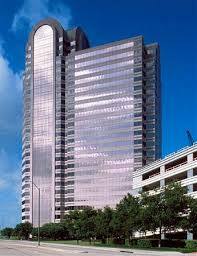 However, this past week, we went to trial on a case where the client had already moved from Dallas to Virginia. The other parent asked the Court to force my client to move back. Alternatively, if the Court would not force my client to move back, they wanted custody of the children. We won the trial and my client is happy with the children in Virginia. First, we established that my client was within her rights to move to Virginia to begin with. In this case, there was no geographic restriction in place before the move. However, the other parent was smart and filed a court action before the children were moved to Virginia. However, they did not prevail in obtaining a Temporary Restraining Order. Second, at the trial, we established the children had adapted well in Virginia in the 3 months they had lived there. The children were in new schools, extracurricular activities and made new friends. We argued that making them return to Texas would unfairly uprooting the children. Such a move was not in their best interest and would only serve the interests of the other parent. Third, while the children had lived in Texas their entire lives, moving to Virginia was done for a valid reason. My client’s spouse had a mandatory job obligation that required the move. The move was not done frivolously or to interfere with the other parent’s time with the children. Finally, the other parent had failed to exercise all their possession of the children. They failed to exercise mid-week possession, as we as all summer possession periods. While it’s impossible to read the judge’s mind, this most certainly hurt their case. 1.Determine if your current order contains a geographic restriction. If not, the likelihood of a long-distance move being permissible is increased. If you want to prevent such a move, then consider a modification of the order as soon as possible. 2. Obtain an expert witness to show the court how the move impacts the children. In our trial, the other parent had no expert testimony to testify about the impact of the move on the children. 3.The reason for your move matters. If the non-custodial parent fails to pay child support, a court is more likely to permit a move when it is done for financial reasons (i.e. new job) or to move closer to family (who provide financial support). 4.Always exercise all your possession periods. This is a critical issue which applies to all areas of family law. Many things can go wrong for a parent when they do not keep their children every time they can. Geographic restrictions are often ignored until it is too late. If you are considering a long-distance move with your children, or are trying to prevent one, there are many important legal issues to consider. Obtaining experienced legal counsel is very important in this particular situation because you only have one opportunity to do it right. For more information or to schedule a free consultation, call 214-550-1122. Next → Next post: I Don’t Like My Family Law Judge. Can I Request A New One?